Robin’s writings have been featured on The Witches’ Voice online community, Circle Magazine, the Pagan Blog Project, and internationally throughout the United Kingdom. She has multiple blogs covering a diverse selection of topics and a monthly column in PaganPages e-zine. 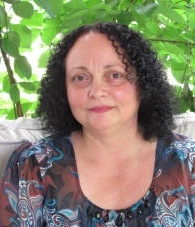 She has authored several books incorporating her unique style of writing making use of poetry, prose and pathworking to enhance the concepts presented. Dear Robin….. Tonight and tomorrow I am going to attempt all of Lesson 1 (from the lessons Index), with my wife reading the pathworkings. This looks very exciting!